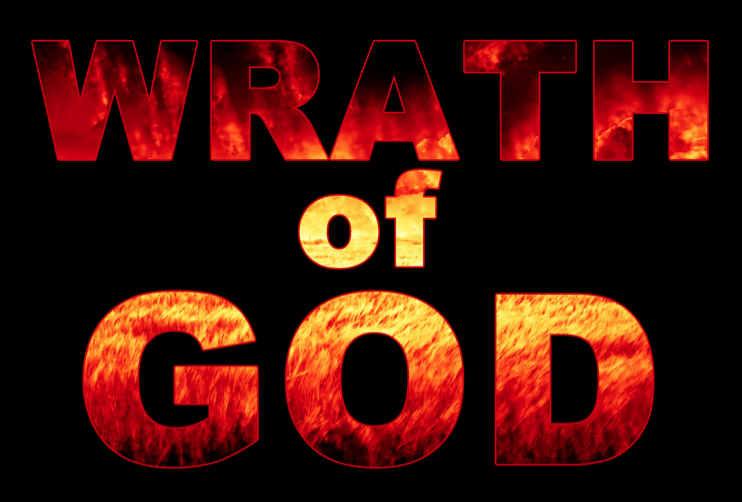 The wrath of God is a scary thing. In 1 Chronicles 21, God’s wrath was abundantly seen when King David disobeyed God and took a census of Israel. As punishment, God sent a pestilence that killed 70,000 Israeli men in one day! 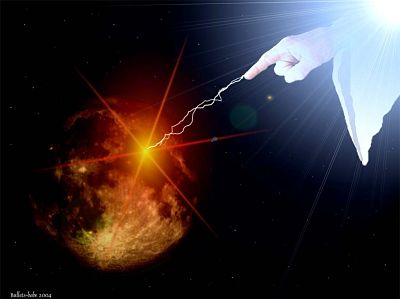 In the future Tribulation we know that God will pour out His wrath on all those who take the Mark of the Beast, as well as on the entire earth. Believers living today in the Church Age, thankfully, have already been judged. And the problems coming from tornadoes, hurricanes, tsunamis and volcanoes fall on both Believers and non-believers alike. But where did all these weather problems come from that we have today? If the earth was good when it was created, they would have had to come about after Adam sinned. It did, and our bad weather is rooted in sin. 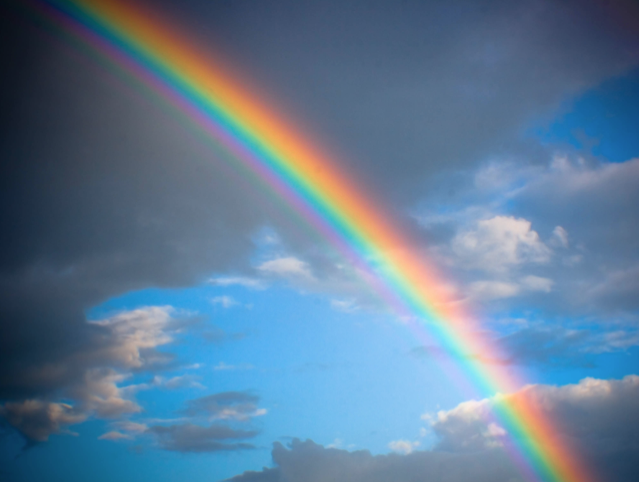 Prior to Noah, the earth was so wicked that God decided to, in essence, start over. With the exception of Noah’s family of eight, God destroyed the earth with a GLOBAL flood. The word translated “high” is a little awkward from the Hebrew to English. At first glance in English, it makes us think that the flood waters had to be as high as Mount Everest. But the word in the Hebrew means “high place.” And in reality, there were no high mountains yet. Prior to the flood, the weather was perfect on a perfectly created planet. 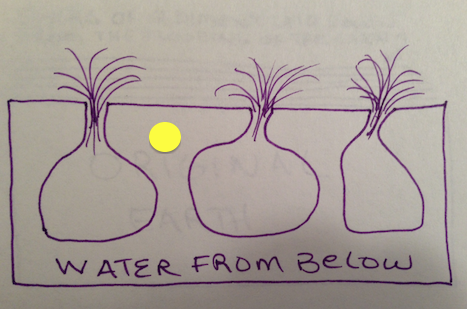 When God flooded the earth, the Bible says water came from both above AND below the surface of the earth. Gen. 7:11 “… all the fountains of the great deep burst open, and the floodgates of the sky were opened.” It took a lot of water to flood this planet. Logically, “fountains” being plural, there were many places around the earth where water burst through the earth’s surface in enormous amounts. We see these water portals today as volcanoes. 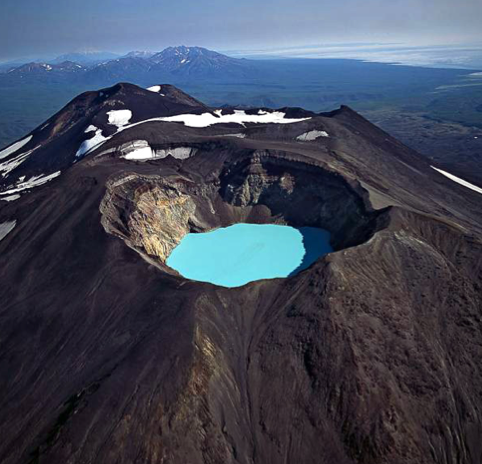 Often there is even a lake at the top of the volcano, formed from water below. Flood water also came from the sky, and some Christian scientists have theorized that, prior to the flood, a huge vapor canopy engulfed the earth. Was there a water canopy around the earth prior to the flood of Noah? The theory continues that this canopy filtered the sun’s rays and that’s why many people lived so long prior to the flood. However, other scientists contend that a vapor canopy would have turned the planet into a greenhouse and therefore the water vapor theory, to them, has no credibility. But regardless of how much came from above the earth, most of the water that flooded the planet came from below. So the question is, how did the water cover the “high” mountains? 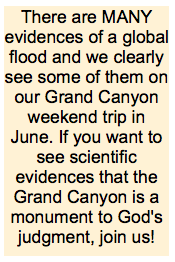 The answer is that there were no extremely high mountains at the time of the flood. The high mountains we have today came after the initial flooding of the earth, as we will see later in this article. almost all water. The west coast of the U.S.
and Australia is bottom and left. 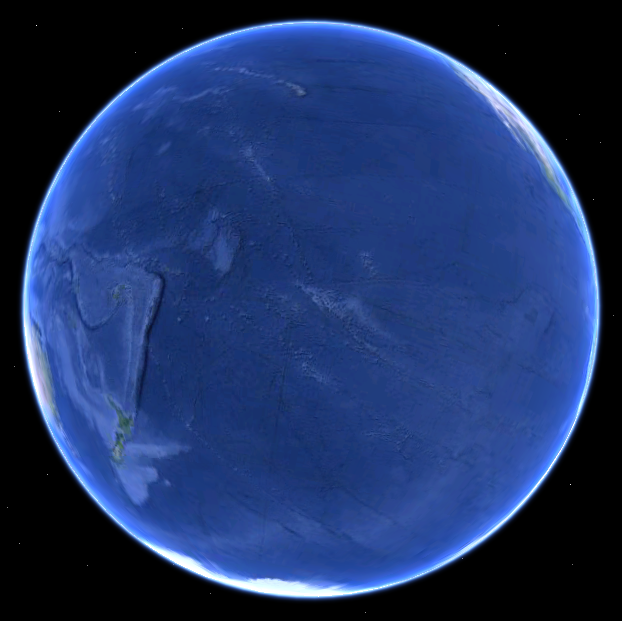 The first thing to realize is that over 70% of the earth is covered with water. If the earth’s surface was spread out perfectly flat, there’s enough water in the oceans to cover the globe to a depth of about two miles! When the earth was flooded from below, the tremendous amount of sediment released began to settle on the bottom. The heaviest particles settled first, then the next heaviest, continuing until the lightest dirt particles / sediment settled on top. The result is that today, all over the earth where there is a visible cutaway of a mountain, you can easily see these layers. This is clearly seen in the picture below where the light chalky sediment is the top layer and the heaviest particles are at the bottom. 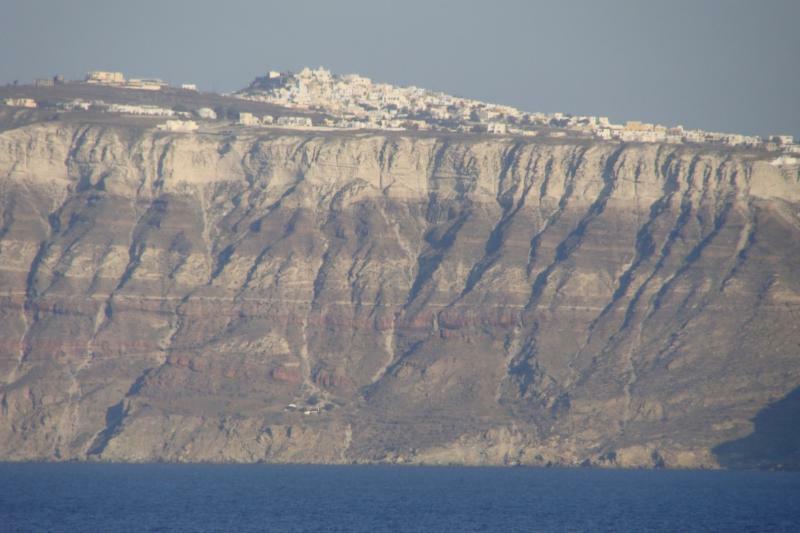 Evolutionists say these layers were laid down over millions of years. Of course they can’t explain why the heaviest layers are at the bottom and the lightest layers are at the top. But there are two “layerings” found all over the planet. This is because after the earth was flooded and the first horizontal layers were formed, God then moved the ground vertically to make the mountains and valleys. Psa. 135:6 “Whatever the LORD pleases, He does, in heaven and in earth, in the seas and in all deeps. So the newly laid down horizontal layers were pushed up, churning up the dirt in the water a second time. As would be expected, this second layering has the heaviest particles forming the bottom layers and the lightest layers forming the top layers–perfectly matching the Genesis flood story. 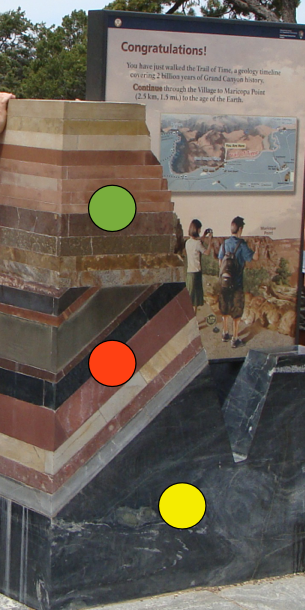 In this close-up picture of the display on the right, we see the gray stone at the bottom is the original creation bedrock (marked with a yellow dot). 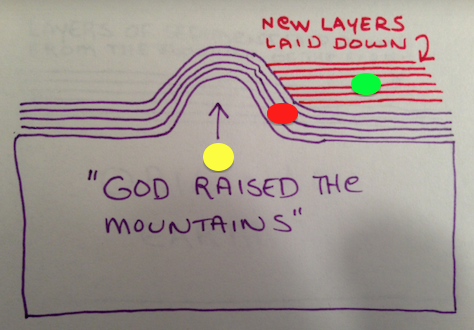 Originally these layers were laid down horizontally, but were pushed up at an angle when God “raised the mountains and lowered the valleys.” As the mountains were raised, it caused more turbulence in the water, which in turn, caused additional settling of layers … hence the top horizontal layers on the display (Marked with a green dot). A recap – this is too good to miss! Sorry about the crude drawings!! 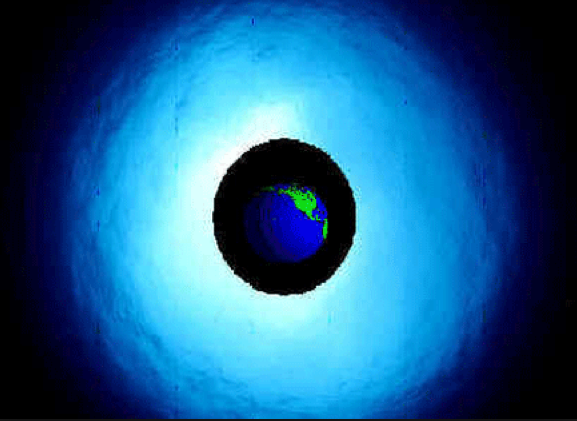 In the beginning, God created the earth, the original earth – the yellow dot. Then God flooded the earth from below. Lots of dirt, rocks and sediment came up with the water from below. 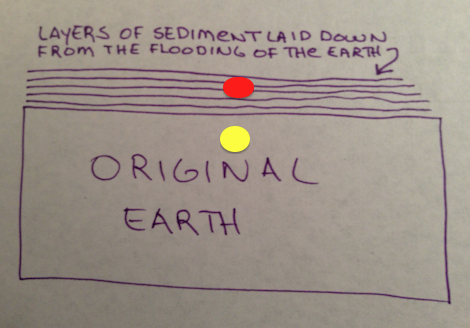 The red dot layers on top of the yellow dot/original earth were laid down horizontally from all that turbulence and debris as the water poured through the volcano portals to flood the earth. This is confirmed by the fact that the layers at the bottom have the heaviest particles and the layers at the top the lightest. 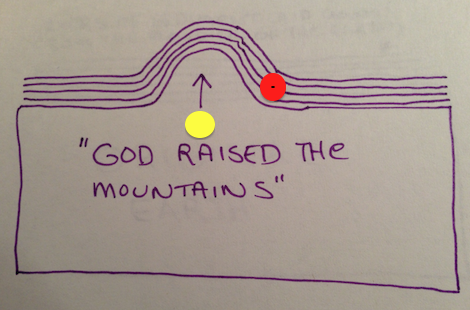 But then God “raised mountains and lowered the valleys,” pushing up the red dot layers. This again caused a tremendous amount of “dirty water sediment” to be stirred up. And this sediment again settled to the bottom forming new green dot horizontal layers. But earthquakes are a different story. The biggest earthquake yet is still in the future. Rev. 16:18 And there were flashes of lightning and sounds and peals of thunder; and there was a great earthquake, such as there had not been since man came to be upon the earth, so great an earthquake was it, and so mighty. Rev. 16:20 And every island fled away, and the mountains were not found. Wow! 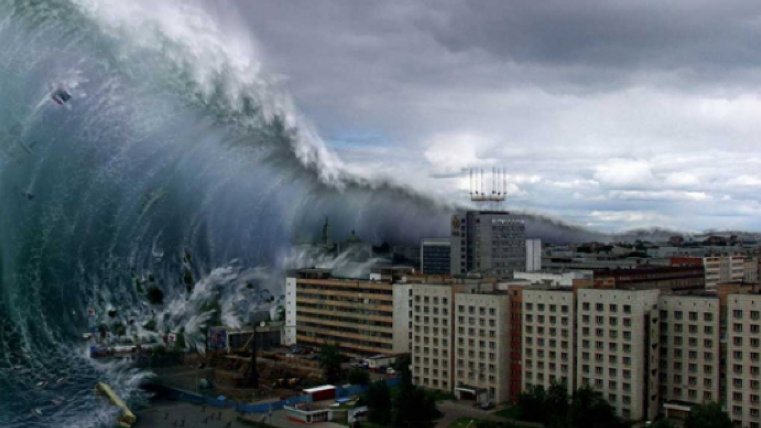 In the future there is ONE earthquake bigger than any earthquake that has ever happened on earth. God will flatten the steep mountains. No wonder men will be weak-kneed as they see the wrath of God on full display. But all things work together ultimately for Believers. The high and steep mountains from Noah’s flood cause irregular wind patterns on the earth. 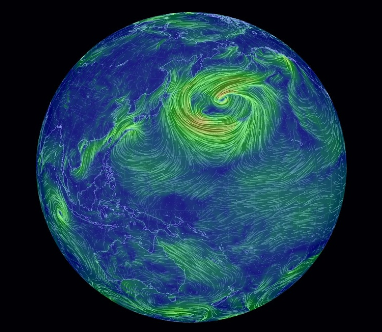 As the earth turns, the irregular and high mountains cause abnormal wind currents, which account for our weather problems today. But when all the steep mountains are reduced to rolling hills from that HUGE earthquake, the world’s weather will change also–back to what it was like before the flood. Therefore, when Jesus returns to reign on the earth as King of Kings, there will be no worries of tornadoes, tsunamis and hurricanes. Cool, huh! 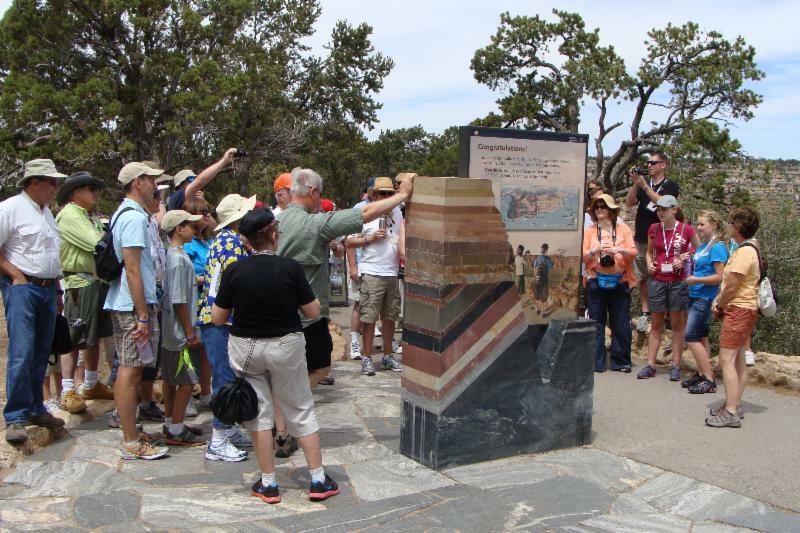 And if you want to see an incredible view of the original creation rock with both groups of layers on top, join us for our Grand Canyon trip next month. Details here. 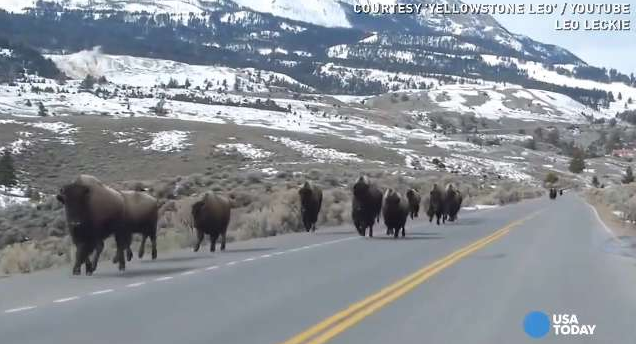 There was a news story a couple of weeks ago about the buffalo running away from the large caldera* in Yellowstone National Park. Do they know something? There have been several earthquakes in this area through the years, and they’re increasing in frequency in the last few decades. 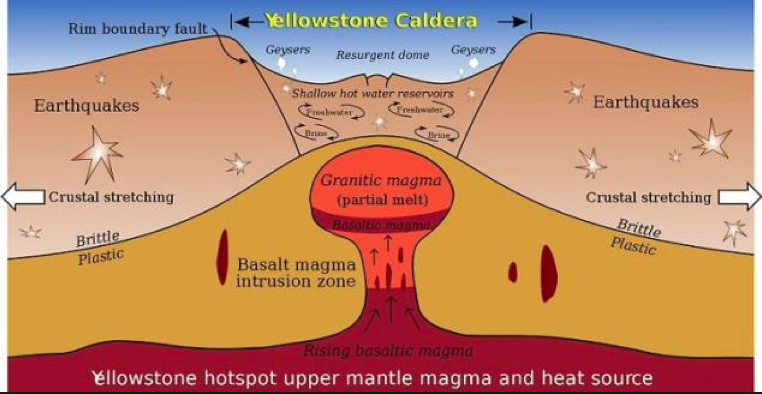 It turns out that there is, today, one GIGANTIC volcano under Yellowstone National Park. It’s not noticeable too much from the ground because of its size. The walls are miles apart and appear only as distant mountains. This volcano has had three massive explosions in the past…and geologists have found the remains of the debris fields of each eruption. See below. Notice the size of the debris field from the Mt. St. Helen’s explosion in 1980 in Washington State and Idaho (yellow, top left). We thought that was a big volcanic explosion! 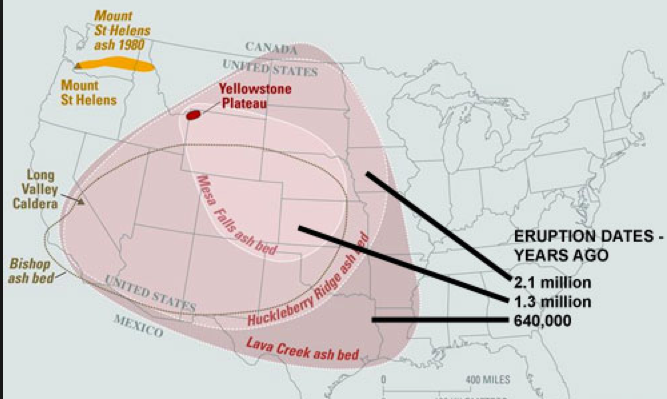 But as you can see, the largest Yellowstone explosion carried ash and debris 1500 miles, to Canada, Mexico and all the way to Mississippi! Also note that on this map, they estimate the eruptions took place millions of years ago. They estimate about 800,000 years between the first and the second eruption, and 700,000 between the second and third. The above graphic is obviously not scientific. And I’m not trying to be “doom-and-gloom/the end is near.” But it IS interesting that we’re probably in that window of the expected 4th Yellowstone volcanic explosion, and maybe even past due! And since we know that huge earthquakes ARE part of the tribulation judgments, it is logical this COULD be part of the coming judgments. And if the Tribulation is near, so is our exhilarating exit the Rapture.